An extremely difficult diagnosis such as lupus can put you into so many emotional phases. 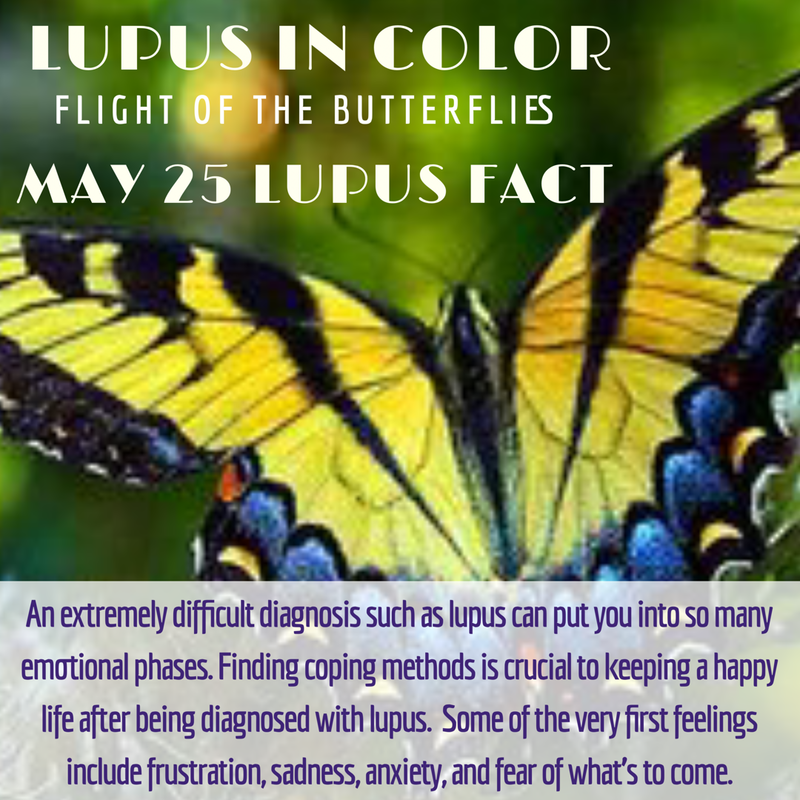 Finding coping methods is crucial to keeping a happy life after being diagnosed with lupus. Some of the very first feelings include frustration, sadness, anxiety, and fear of what’s to come. This is your twenty-Fifth butterfly of hope.